For organisations who seek relevance in increasingly competitive markets, Align-Ed’s learning, content and communications solutions create context for the implementation of organizational development strategies and the people pillar of Sustainable Development, unlike traditional training and communications providers. We are Context Strategists. We create context by integrating the aims of your business, with your people, your brand and your culture using a variety of cutting edge techniques from the disciplines of learning, education and communication. At Align-Ed we believe that we have a meaningful impact to make on the sustainable development of South Africa and Africa through learning. 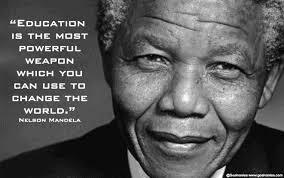 Our gift to living the Madiba Legacy is to ensure that we disseminate our knowledge, learning and experience and in so doing contribute to the sustainability and competitiveness of our clients, the people of South Africa and Africa. We model our approach on the tradition of indigenous cultures. We bring learning into the realm of business where the responsibility of the “elders” is to pass on knowledge and learning to those that will sustain South Africa and Africa for the next 7 generations. Defining and reinforcing their strategic thinking and points of difference. Saving costs resulting from the alignment of different business functions such as marketing and HR. Developing role based cultures of high engagement, excitement, performance and consistent service delivery.